From installation and maintenance to seasonal planting and clean up, we can provide comprehensive solutions to your commercial landscaping needs. Phoenix understands that protecting the investment in your landscape takes long-term thinking. Our agreements include important maintenance services such as insect and disease control, fertilization, concrete and irrigation repair, and manicured pruning as needed. We provide daily work reports, proactive management and prompt responses. Click the photo above to see a gallery. 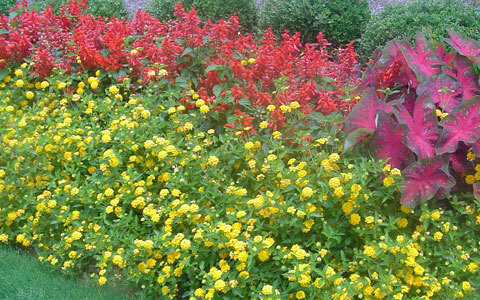 Few things will make your property stand out like seasonal flowers. Our floriculture services, also known as “flower farming,” include design, installation and maintenance, and insect and disease control. You can even choose the types of seasonal flowers you would like planted; your local service manager will discuss all the options with you. Whether we are starting from scratch or making an enhancement, Phoenix’s landscape design experts can design and install a solution to meet your commercial property’s needs. 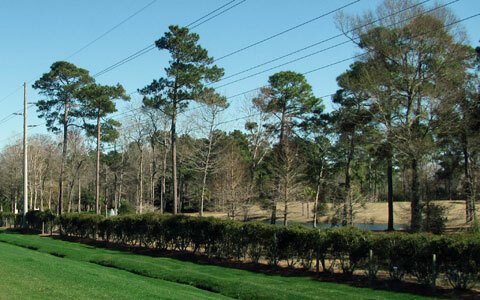 Our specialty irrigation services employ the latest technology available, and our service trucks are always equipped to service and repair your system, saving you time and money. 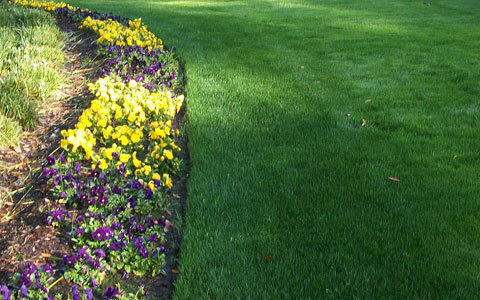 Phoenix Landscape Management is equipped and prepared to maintain every aspect of your outdoor space. Our programs are tailored to meet your needs and include integrated pest management, state-of-the-art equipment and licensed professional technicians. 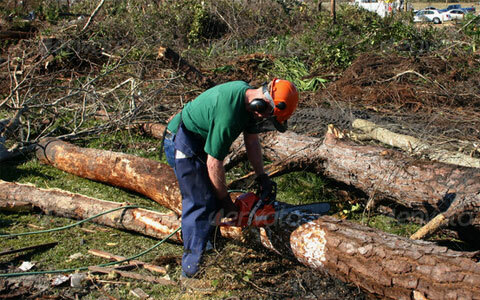 Phoenix is certified to maintain and remove trees and other woody-stemmed vegetation within the rights of way of roads, highways, power lines, and other utilities. We control the growth of vegetation around these facilities to provide ease of access, help prevent power outages, and ensure safety. We have the flexibility to handle the unexpected, so if severe weather strikes, we can pull in crews and equipment from any of our six operations centers in GA, NC, and SC. We have dump trucks and giant vacuum systems capable of efficiently loading and hauling off large amounts of debris. 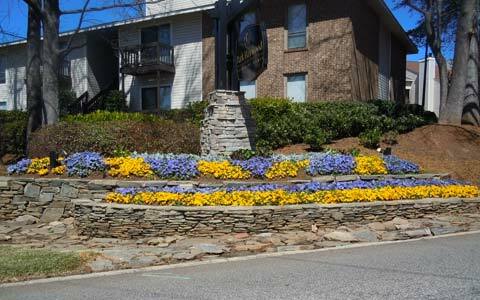 “Phoenix has been our landscape vendor on six properties in Greenville for 10+ years. 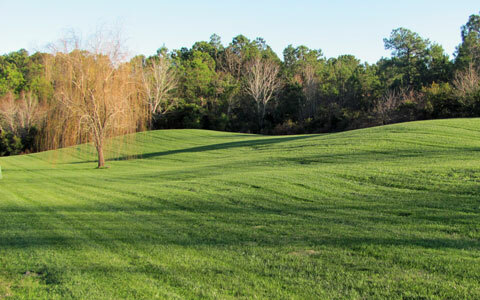 They have provided full landscape services for us from maintenance to irrigation management to full chemical services. They have also provided landscape, drainage, and irrigation services for us during that time period. We are [even] going to use them on a new site this year." “Phoenix Landscape has a keen focus on the quality of work performed. [They] helped us develop an appealing landscape...their knowledge of plants and trees is beneficial when selecting plant life to install. We would consider Phoenix Landscape Management once again." “Thanks...for the continuing excellent service provided by Phoenix Landscape Management. The NRC is getting very positive feedback from owners on the work being performed by the Phoenix staff." “Having worked in this business for a long time and with many vendors, I know how rare [their] attention to detail and care can be, and I wanted you both to know how much it is appreciated from both myself and MAA"
"Thanks for your endless efforts in forming an exceptional partnership with the Summit officials and staff. [Your] team of professionals continue providing the very best landscape maintenance and other services possible." "As always, for many years, we have enjoyed doing business with Phoenix." "Phoenix Landscape Management is a solid company that provides outstanding service to their clients, well represented by their employees and goes the extra mile to accommodate and excel in their business practices." "You have provided a level and quality of service that exceeded our expectations."